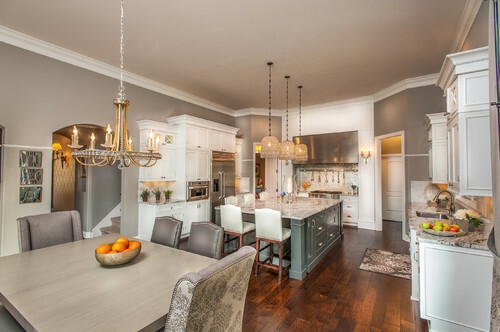 Instead of choosing a tan, beige or brown as a neutral color in a home, homeowners are using shades of gray. It’s growing in popularity and yet, it’s still an unconventional color that will create an interesting color palette in the kitchen. 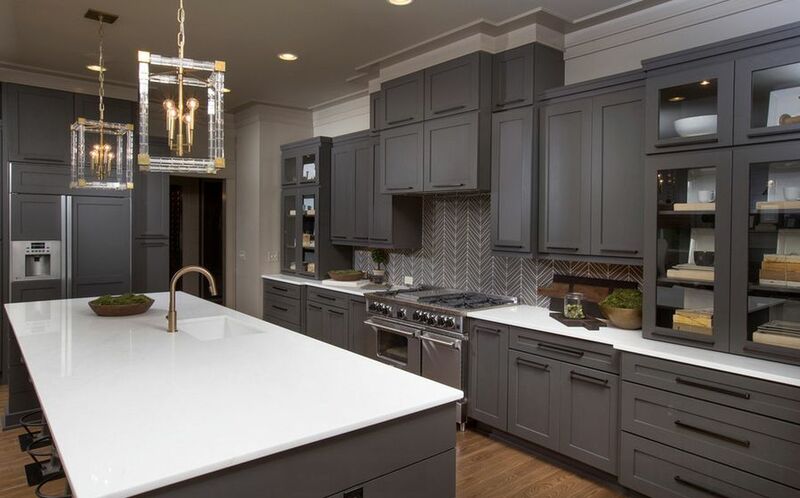 From dusty white, and tones of silver to charcoal, there are so many hues of gray that it can be tough to choose the right color for your kitchen. 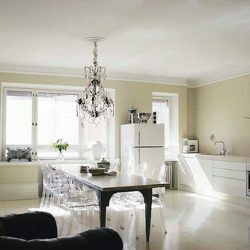 Instead of choosing one color for your entire kitchen, you can choose a light dusty gray for your walls while you can pick a darker color for the cabinets. A light gray will become the backdrop for a variety of other colors in the kitchen. When choosing the color in your kitchen, you’ll need to consider the light that enters the space. In cooler climates like those in Manhattan, Brooklyn or Queens, you’ll want to be careful when choosing cooler tones of gray. A kitchen with cool undertones will make the entire space feel too cold. Make sure you are pairing cool grays with warmer hues in the accessories. A gray with blue undertones can look great paired with greens and browns. This could be a good choice of gray if your kitchen floor is a dark brown. Vibrant greens or aqua would complement the gray beautifully in the kitchen. It could be brought into the space using bowls, artfully arranged limes and artwork. You might want a light gray that is almost white if you have pops of bright red or orange in the kitchen. Fire engine red accessories will fairly explode against a backdrop of gray in the space. Gray cabinets can be used as a backdrop to colorful accessories especially in a cabinet with open shelving. While a vibrant color can make a kitchen space really pop, using a contrast of black against whites and grays can be just as beautiful. 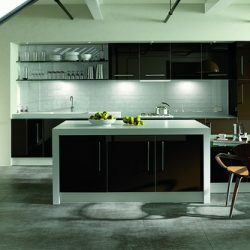 It’s a restrained and elegant palette that is great in a modern kitchen with stainless or black appliances. One of the biggest changes you can make to the kitchen is changing the kitchen cabinets color to a gray hue. The color you choose will depend on the color of the wall as well as the color in the rest of the space. Gray cabinets bring a sophistication to the space that can be lacking in most homes. Cheap cabinets can be painted with a soft gray stain to allow the grain of the wood to peek through, or they can be painted gray with regular paint. Whether you choose to coordinate with gray, white or colored walls will depend on how the gray cabinets look in a kitchen. When choosing a gray palette for the kitchen, you’ll need to bring the paint into the space to see how it looks with the amount of light in a kitchen. That can influence the look and feel of the gray cabinets along with the rest of the color palette. Cheap cabinets can be given an entire facelift with a change of the kitchen cabinets color. It’s a great way to add sophistication to the kitchen without doing a complete renovation. When you want to make cheap cabinets look expensive and sophisticated, painting the cabinets a hue of gray is a great way to change the kitchen cabinets color to get the desired look. However, if you wish only the best for you and your family, you can have quality cabinets in your kitchen. Make sure to check out our cheap cabinets prices. See how it is possible to have high-quality and at the same time well-priced gray kitchen cabinets.